STYLING THE SEASONS WITH LAURA ASHLEY. FEBRUARY. I love styling the seasons! And was so excited when Katy from Apartment Apothecary, and Charlotte from Lotts and Lots delivered the news of working with Laura Ashley loveliness. I love flicking through the Laura Ashley catalogue, drinking a nice cup of tea. It was so hard to pick something and I took ages to decide! To me, February means anticipation of spring. So I finally decided on the New England Nesting Box, some paints and the gorgeous Summer Palace wallpaper. I decided to style a shelf in my conservatory as I love spending time out there. I made these little origami birds from the summer palace wallpaper. They are so simple to do, and I will post a tutorial on how to make them soon. 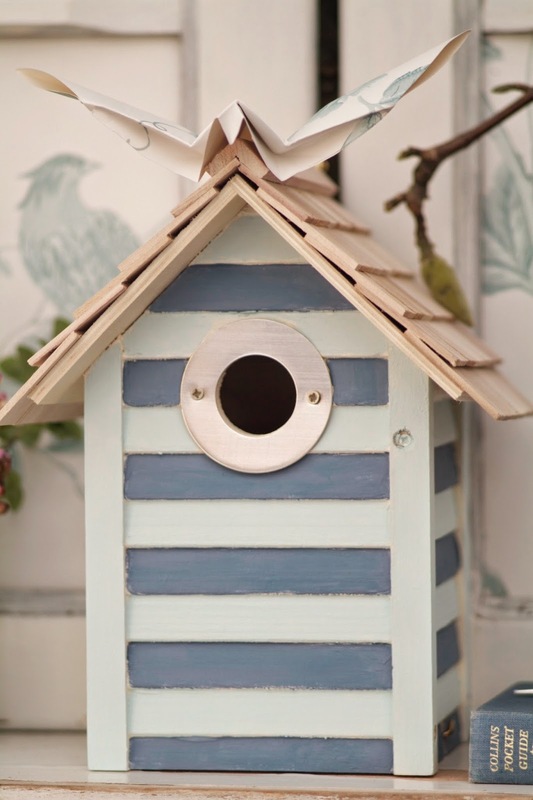 I decided to give the New England Nesting box a little beach-hut makeover by painting it in alternate stripes of Sapphire and Pale Topaz. 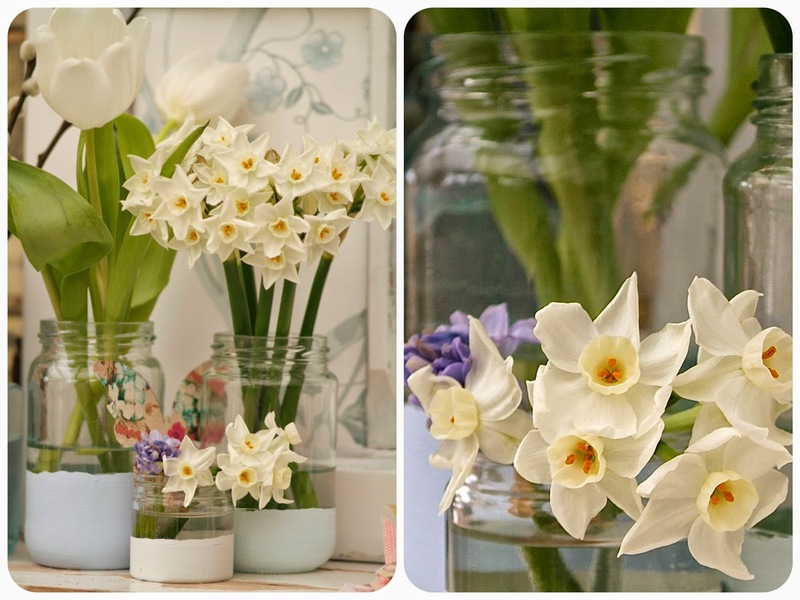 I just love my seasonal blooms, and like to display them in jam jars. I painted the bases in complimenting shades. From left to right: Pale Delphinium, Pale Duck Egg, Pale Topaz and Sapphire. The old window frames came off a vintage dresser, I love them, and putting the Summer Palace wallpaper behind them turns them into a real spring scene. I love to mix vintage pieces into my styling. Laura Ashley are offering you the chance to win a £50.00 voucher. Just hop over to their blog, and vote for your favourite styling the season post. Flowers from Wild Flowers Company.